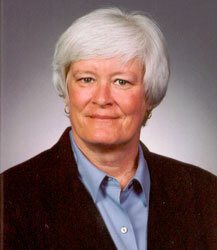 Pat Brune is known nationwide for strong leadership and expertise in the federal court system in Western Missouri. She celebrated 31 years of service before retiring March 1, 2009 as court executive, a position that few in the nation hold. Her responsibilities included overseeing all activities within the bankruptcy and district courts as well as the probation and pretrial services offices, and the management of a $30 million yearly budget. She was regularly appointed to national committees and was called up by many clerks to advise and counsel them on various management issues. In 2002, she was given the director’s award for outstanding leadership by the director of the administrative office for the United States Courts. The award was bestowed upon her, in part, for her development and implementation of the now nationwide electronic case filing / case management system. A career in the court system is something Brune never fathomed while she was growing up. In fact, growing up in the ’60s, she remembers questioning the system of government and wanting to change it. She came into her career with the judicial system through a friend who was working there at the time. Her first title was bankruptcy notice clerk and she quickly moved up the ranks. Total community support gave Brune reasons to believe in herself while she was a student in the KCK Public Schools. She remembers many of her teachers and administrators being involved in organizations she was involved in, like Girl Scouts and her church. Her advice for today’s students is: don’t let anything get in the way of learning something new every day.